We offer Bulk Storage Tanks that are fabricated using non-ferrous metals such Stainless Steel. Our Bulk Storage Tanks are precisely designed to meet the requirements of various processing industries. Our Bulk Storage Tanks can withstand the toughest conditions, heavier loads and various temperature fluctuations and variations. 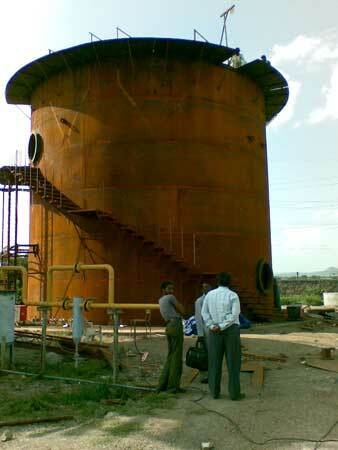 Besides, the Bulk Storage Tank has special structure at the top for collection of gas.